Tateossian cuff links created in a limited edition of 21 pairs. 22-karat raw gold nuggets secured by claw system. 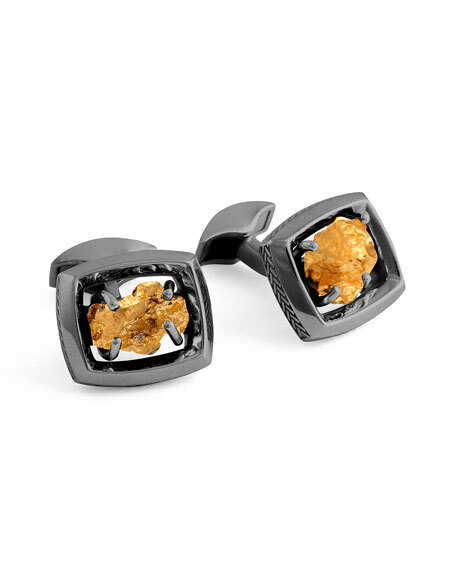 Please note: Due to the one-of-a-kind nature of the gold nuggets, each pair of cuff links is unique. For in-store inquiries, use sku #2245110.